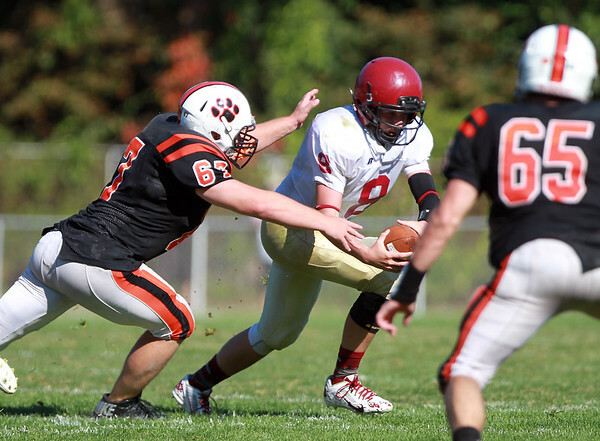 Gloucester quarterback Mike Cody (8) tries to escape Beverly lineman Chris Faust (67). The Fishermen fell to the Panthers 30-16 in NEC action on Saturday morning. DAVID LE/Staff photo. 9/27/14.